Are You a Hobbyist or an Artist? 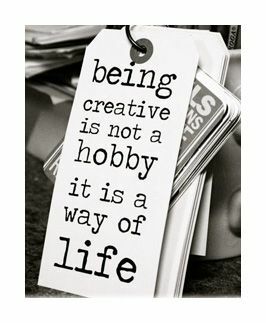 Are You a Hobbyist or an Artist? The answer is not iffy, it’s a bold one or the other. Do you practice your instrument every single day or almost every single day? Remember your voice is an instrument too! Do you know what to say when people ask you what your music sounds like? and do you like telling them? Do you know what your strengths and weaknesses are and how to use them to your advantage? Do you have a goal for the next year and a schedule mapped out of what exactly needs to happen each week to get there? If you answered “No” to any of those questions, I’ve got some news for you — you’re a hobbyist, not an artist. And that’s okay. Not everyone wants to do what it takes – to jump through the hoops in order to make a living from their music or to be a full-time artist. That’s a fully focused feat and not for the weak hearted. But you’re here. So I’m betting you probably do – want to do it that is. And if you’re truly IN, then you have to make the decision. One to move you from occasional artist, from hobbyist to true artist, from amateur to real pro, you have to walk the road that moves you from good to GREAT – that TURNS YOU PRO. Because the truth is – anyone can be good – but not everyone can be great. It takes a fortitude – a willingness to face your fear and do it anyway. The secret is your craft. And so the even bigger question is – are you willing to make the sacrifices to get there? Because let’s face it – it’s a lot of solitary hours in practice to be able to stand on that world stage. It’s a lot of time alone – and that can be lonely and frustrating. But, it can also be exhilarating and amazing to master your craft. It all depends upon your mindset and your drive. 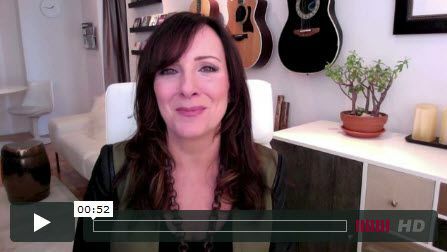 In order to do this – to really become the artist of your life, you’re going to have to tap that deeper river in you – the one that has something BIG to say – something that is bigger than you – and it’s not always pretty. But it’s for your fans, it’s for the people who need to hear what you are about to say. And you – have to be willing to dig for that stuff. And – this journey – the journey of an artist on the path – is going to make you unearth things about yourself you’d probably rather leave behind or alone. It’s going to ask of you what you wouldn’t ask from a friend – it will make you question everything. It will push you up against your deepest fear and make you wonder if you have what it takes – over and over again. To learn more about artist development, make sure you watch my new series Going From Good to Great: The Defining Moment on the Artist’s Path. You’ll also get a free invite to a VIP teleclass on how to finally Claim Your Craft for good. Watch the video here. You don’t want to miss it!